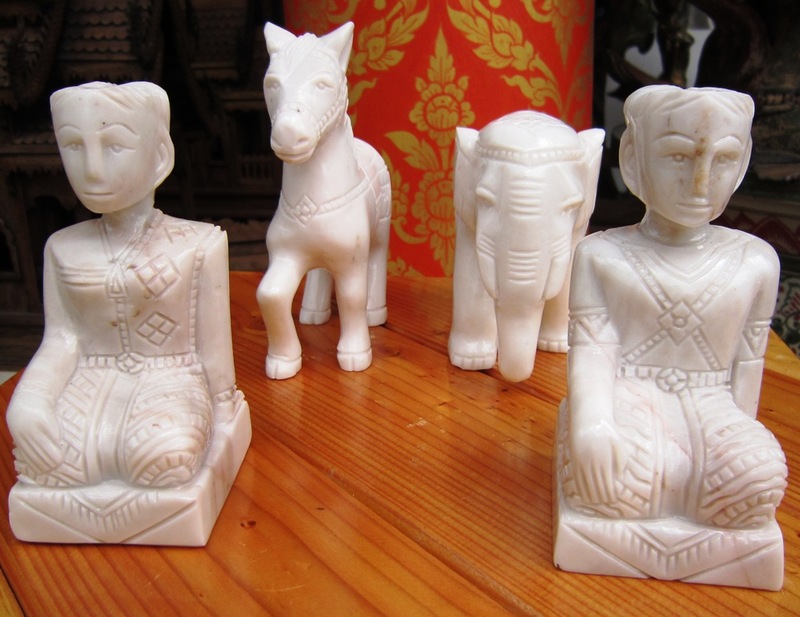 Set of Large 4 Hand Carved Marble Figurines for your Spirit House. 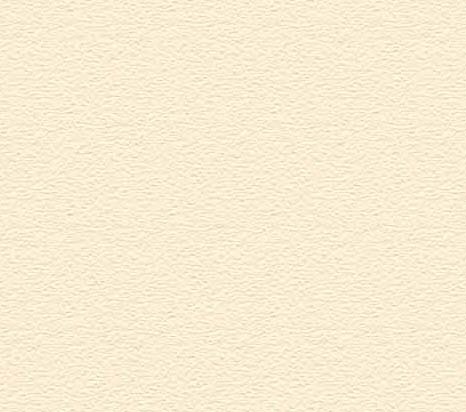 Set contains, Man, Woman, Horse, and Elephant. 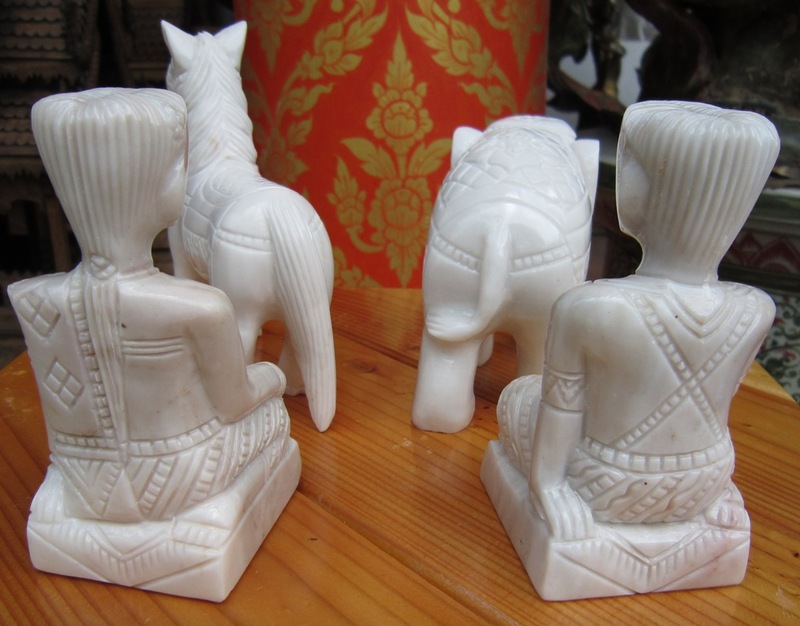 This is a traditional set of figurines that are placed in the larger spirit houses as servants, and transportation for the spirits.